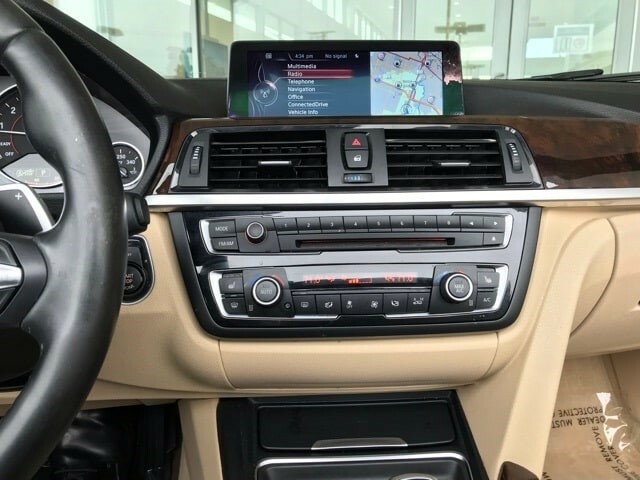 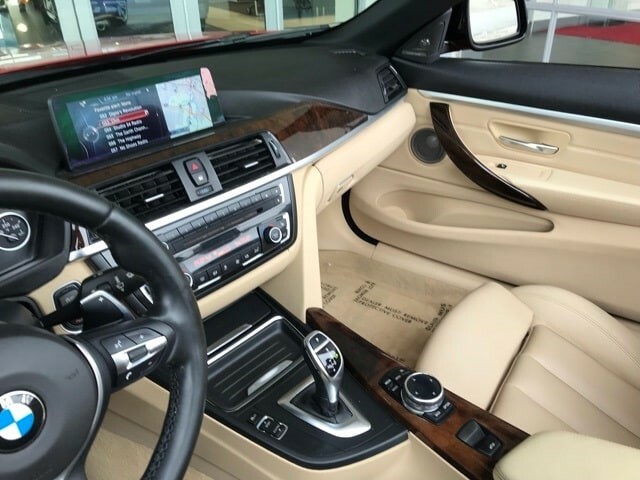 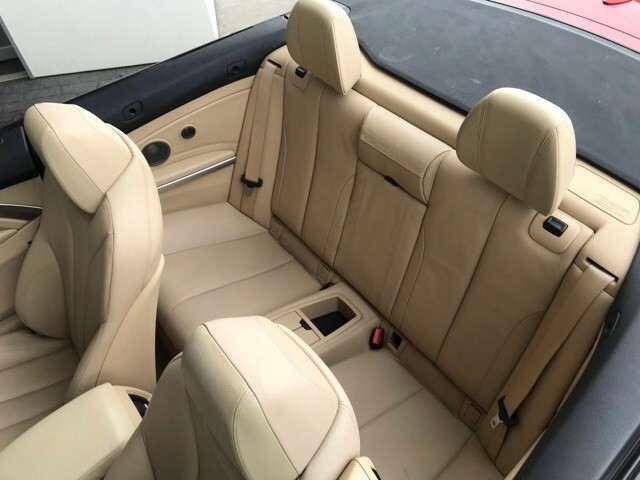 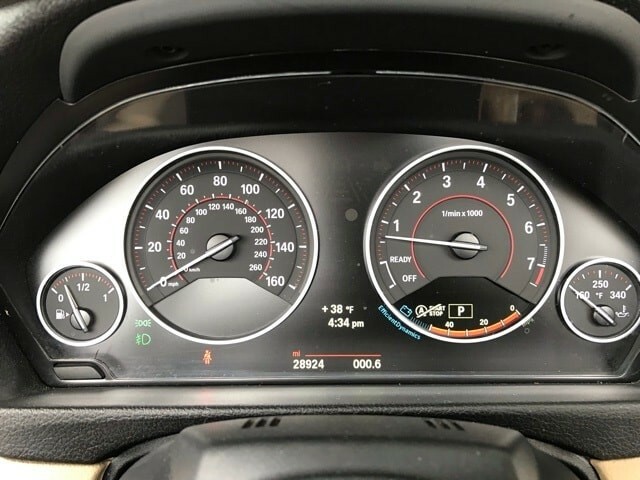 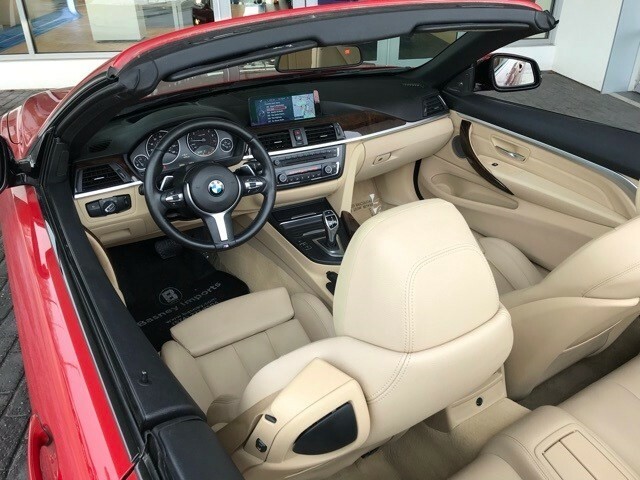 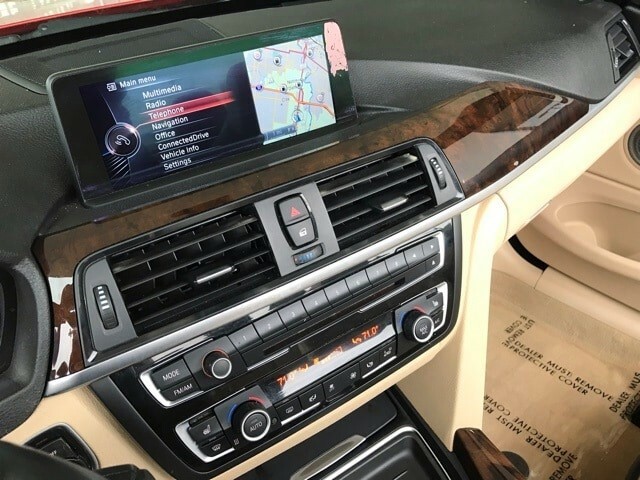 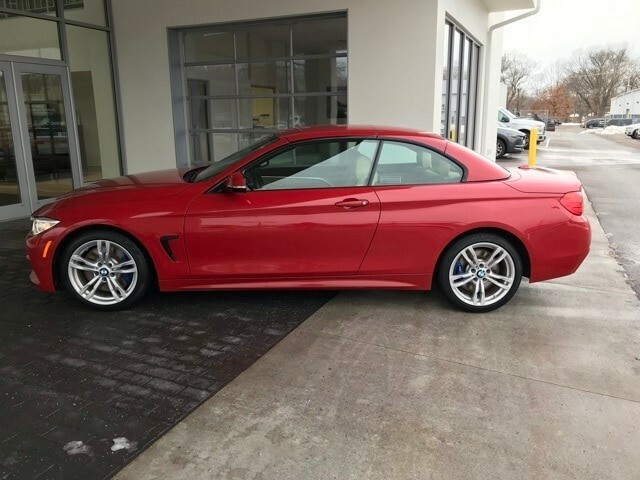 ACCIDENT FREE AUTO CHECK, LEATHER, 100 % SERVICED AND UP TO DATE, BLUE TOOTH, USB PORTS, NAVIGATION, PUSH BUTTON START, ADVANCED KEYLESS ENTRY, HEATED SEATS, HEAD-UP DISPLAY, ONLY 28,922 MILES, ACCIDNT FREE CARFAX, M SPORT PACKAGE!, ORIGINAL WINDOW STICKER $65,125, 9 Speakers, Advanced Real-Time Traffic Information, Aerodynamic Kit, Aluminum Hexagon Interior Trim, Auto-dimming door mirrors, Auto-dimming Rear-View mirror, BMW Online BMW Apps, Brake assist, CD player, Comfort Access Keyless Entry, Convertible HardTop, Convertible roof lining, Convertible roof wind blocker, Dakota Leather Upholstery, Delay-off headlights, Electronic Stability Control, Enhanced USB Bluetooth w/Smartphone Integration, Estoril Blue Matte Highlight Trim Finishers, Front fog lights, Full-Color Head-Up Display, Fully automatic headlights, Garage door transmitter, Glass rear window, Hands-Free Bluetooth USB Audio Connection, harman/kardon Surround Sound Audio System, Heated door mirrors, High intensity discharge headlights: Bi-xenon, Illuminated entry, Increased Top Speed Limiter, Instrument Cluster w/Extended Contents, Luxury Line Aesthetic Elements, M Sport, M Sport Pkg, M Sport Suspension, M Steering Wheel, Memory seat, Navigation System, Outside temperature display, Panic alarm, Power convertible roof, Power door mirrors, Power driver seat, Power Front Seats w/Driver Memory, Power Lumbar Support For Front Seats, Premium Package, Radio: Anti-Theft AM/FM/HD Stereo CD/MP3 Player, Rain sensing wipers, Remote keyless entry, Remote Services, Security system, Shadowline Exterior Trim, Speed control, Speed-Sensitive Wipers, Sport Seats, Sport steering wheel, Steering wheel mounted audio controls, Tachometer, Technology Package, Telescoping steering wheel, Tilt steering wheel, Trip computer, Turn signal indicator mirrors, Variably intermittent wipers, Wheels: 18 x 8 Fr 18 x 8.5 Rr (Style 441M), Without Lines Designation Outside. 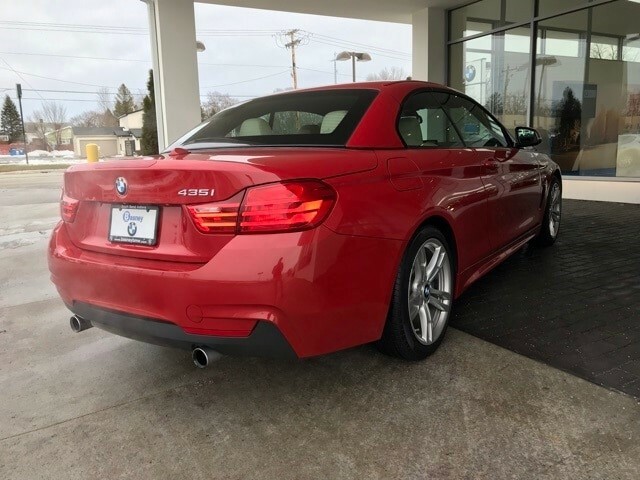 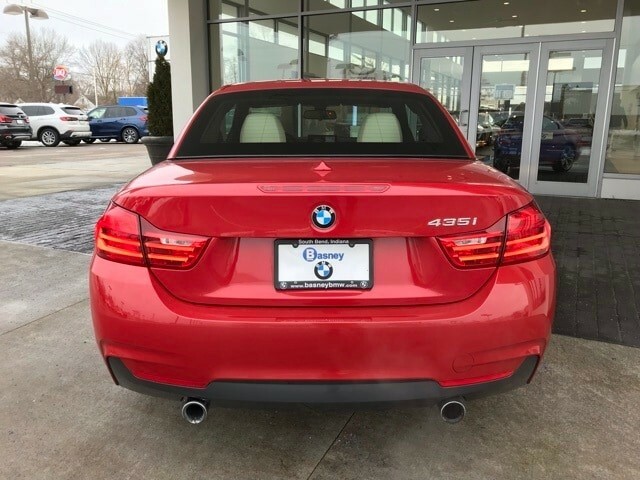 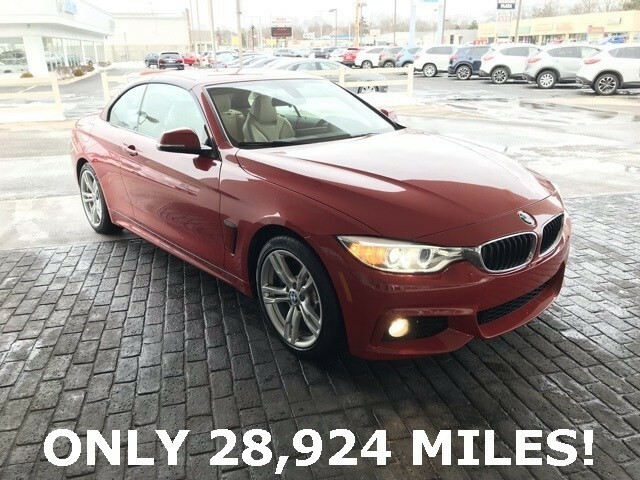 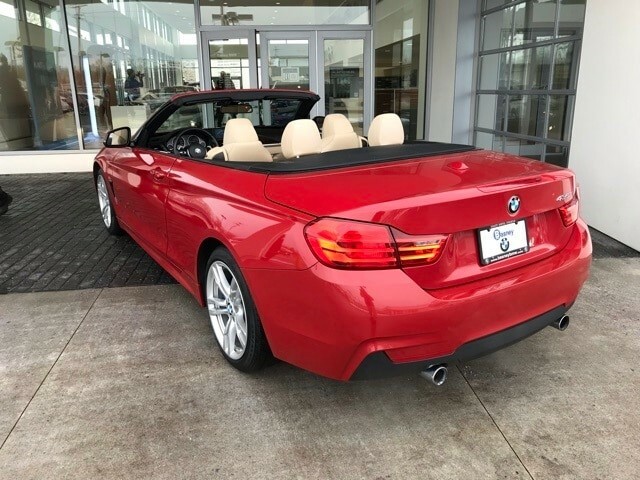 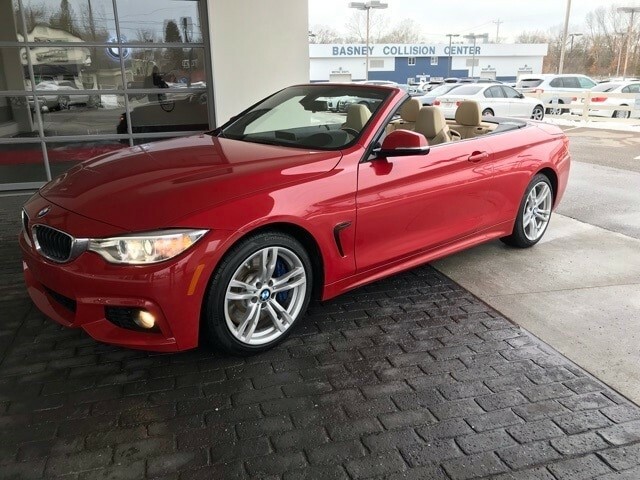 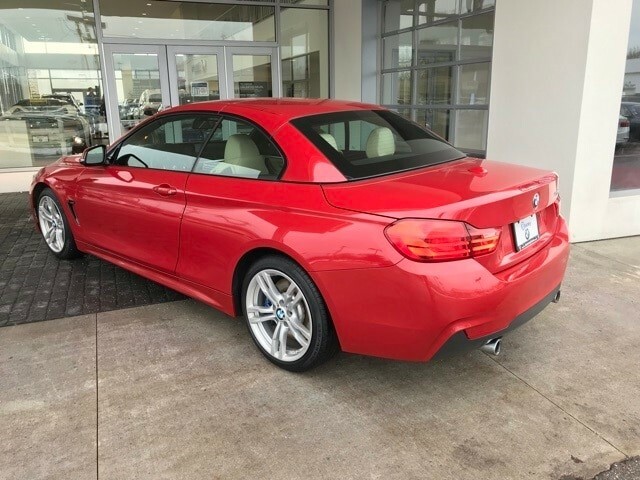 2014 BMW 4 Series 435i Melbourne Red Metallic 8-Speed Automatic Sport Basney Advantage No Charge 3 month /3000 mile powertrain Warranty. 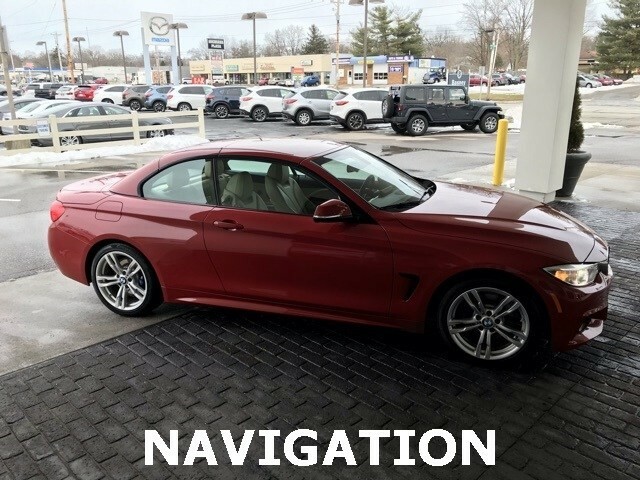 Serving the local community for 30 years!! 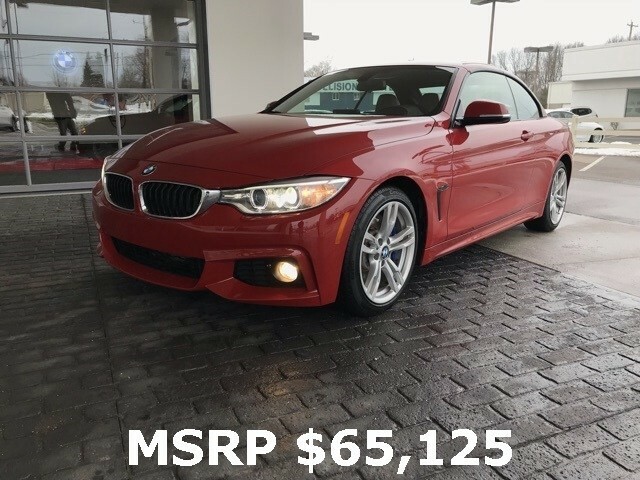 Call us at 1-800-274-8504 or visit us on the web at www.basney.com. 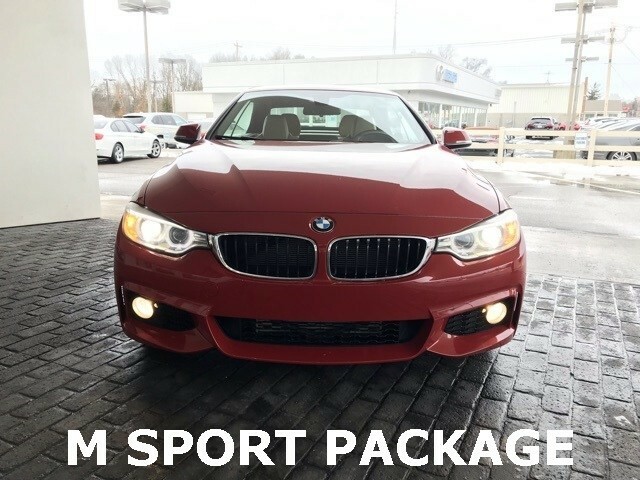 18" Alloy Wheel M Sport Perf.